Annika Yappert with Colorado Therapeutic Riding Center, a PATH Intl. Premier Accredited Center in Longmont, CO; Patty Shaw with Riding to the Top Therapeutic Riding Center, a PATH Intl. PAC in Windham, ME; Timothy Potts with Free Rein Therapeutic Riding, a PATH Intl. PAC in Spokane, WA; and Katelyn Boisvert with Stable Influence Charity Programs, a PATH Intl. Member Center in Phoenix, AZ, all won Ariat boots for their volunteer hours on behalf of horses through the EQUUS Foundation Champions program. Click here to read their stories. CHAMPIONS is the EQUUS Foundation's incentive-based equine service volunteer program sponsored by Ariat International to recognize and reward individuals and organizations on the Equine Welfare Network. It's easy to become a CHAMPION; an individual must log a minimum of 24 volunteer hours from January 1st to December 31st. Visit their page for information. PATH Intl. 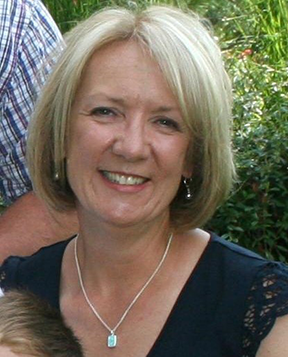 is proud to announce the appointment of Sue Becklenberg as the newest member of the PATH Intl. Board of Trustees. She will fill a recent vacancy on the board. Sue is from Centralia, MO, and works at the University of Missouri, in the College of Arts & Science, as the Director of Business Administration. Sue is a PATH Intl. Certified Registered Instructor and volunteers at Cedar Creek Therapeutic Riding Center, a PATH Intl. Premier Accredited Center in Columbia, MO. She also volunteers at the Ronald McDonald House Charities of Mid Missouri, among many other volunteer positions. In addition, Sue has served on the PATH Intl. Finance Committee prior to being appointed to the board. Jim Harlan, PATH Intl. Board President, praised Sue's professional finance management experience and her PATH Intl. program experience when he stated, "Sue is an excellent addition to the PATH Intl. Board, and her extensive experience with finance and EAAT will serve our members well." We know that more than anyone else, our members recognize and support the mission and needs of PATH Intl. We are in the process of recruiting members for the PATH Intl. Board of Trustees and are focused on recruiting from our membership. If you have a desire to help advise, govern, oversee policy and direction, and assist with the leadership and general promotion of our association, then consider applying for a board of trustees position. We are looking for members who are leaders with nonprofit board experience; those who may be lawyers or veterinarians; those who may have experience in the legal or medical fields; or those with marketing and management experience. In the coming years we have several board members who will reach term limits and are looking forward to mentoring new board members who are willing to make a difference in our industry prior to stepping down. If you are interested, download the board of trustees application and job description and expectations and return them to Cher Smith. What does it mean to ride in a balanced seat position? Is there a difference in seat position between riding in English tack or Western tack? How do therapeutic riding instructors adapt their expectations considering the limitations of students while still teaching a balanced seat position? 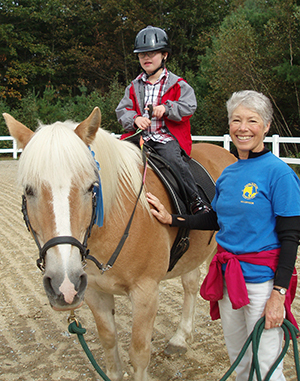 This webinar will address these and other issues common to therapeutic riding instructors. Click here for information and to join. At the 2014 PATH Intl. Conference and Annual meeting, approximately 30 sessions and Community Connections day presentations were recorded in order to make these presentations available to those unable to attend the conference. There are currently 12 conference session recordings available for purchase and CEUs (1 CEU each). If you missed the 2014 conference or missed a session, you can still take advantage of this educational opportunity. Videos are $20 for members. If you missed last month's live webinar, Military and Family Culture, the recording is available here. This webinar is $20 for members. 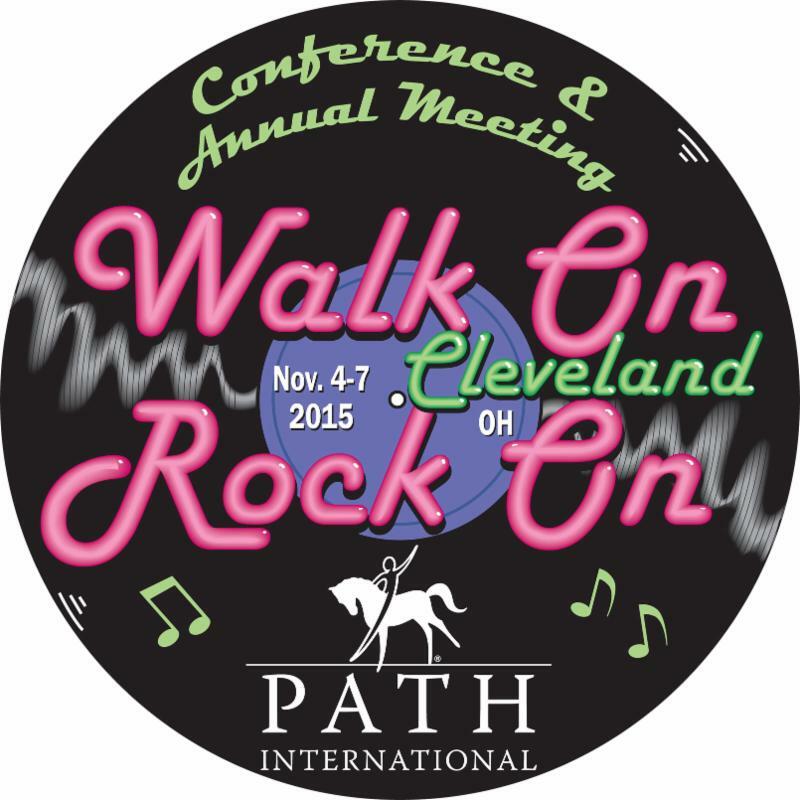 Beginning this year, voting on the field test standards will be handled electronically rather than at the PATH Intl. Conference and Annual Meeting. The first electronic vote, which has been approved by Programs and Standards Oversight Committee and the Strategic Initiatives Review Committee, will take place July 1st through 14th. Don't forget to add the dates to your calendar and vote! Congratulations to Carmella with Colorado Therapeutic Riding Center, a PATH Intl. Premier Accredited Center in Longmont, CO! Carmella is the SmartPak Horse of the Month for April. Click to read her story and to find out how to nominate your horse. Carmella and CTRC will receive one month of SmartSupplements in SmartPaks. In January, Harvey with the PATH Intl. Premier Accredited Cheff Therapeutic Center in Augusta, MI, was named the SmartPak Horse of the Month. Morgan Horse Journal has picked up his story and will run it in its next issue. You can read the story here. Congratulations, Harvey! HorseFlicksTV and HRTV- the Horse Sports Channel are pleased to announce they are getting closer to producing a 13 Episode TV Series titled "MY HORSE MY WINGMAN," featuring stories of courage and hope about how horses are helping our wounded service personnel and veterans recover from the physical and emotional challenges they now face, as a result of their service to our country. The HorseFlicksTV goal is to create awareness of equine-assisted activities and therapies (EAAT). They created a pilot episode filmed at the Ride On Center For Kids (ROCK), a PATH Intl. Premier Accredited Center in Georgetown, Texas, and have secured a three-year broadcast commitment for the TV Series from HRTV, which will air the 13 episodes a total of 702 times over 36 months. There is a possibility they could receive more broadcast slots for additional episodes, but for now they would like to identify the 13 centers to be featured in the first series. HorseFlicksTV hopes to start filming the second half of this year. They are asking for your help as they search the country for centers that have a PATH Intl. Equine Services for Heroes program and compelling story they would be interested in having filmed for inclusion in the series. If you would like to submit your center for consideration please contact HorseFlicksTV to share information about your program, and what might be different or special about it. Contact Jon May or Jo Ann Marble or (940) 594-0000.